A report about a new Flash vulnerability that affected the latest two versions of Adobe Flash was spreading like fire on the Internet yesterday. The Flash Vulnerability was used on specially prepared websites that would exploit the vulnerability to download information and install additional malicious software. Research however has shown that the latest Adobe Flash version 9.0.124.0 is not vulnerable unless it's the standalone version on Linux. That means that Windows (and Macintosh) users who have the latest Flash version installed are not vulnerable to the exploit and that Linux users should make sure that they are not running the standalone version of Adobe Flash. Windows users are only vulnerable if they are not running the latest version of Adobe Flash but version 9.0.115.0 of the application. The latest version of Adobe Flash can be downloaded at the official website. The exploited vulnerability was fixed by Adobe on April, 8 2008 and a detailed report is available here. 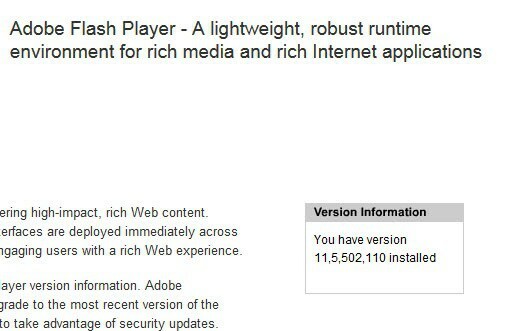 Update: You can verify that you are running the latest version of Adobe Flash Player on the official Adobe website. Here you find the version installed on your system, and the latest version that Adobe has released for all desktop and mobile operating systems. The page links to the download center where the latest version can be downloaded and installed on the system. The page lists downloads directly on the page. I believe the latest version for Windows is 9.0.124.0.